Who would not want a luxury trip to Shangri-la Mactan this summer? 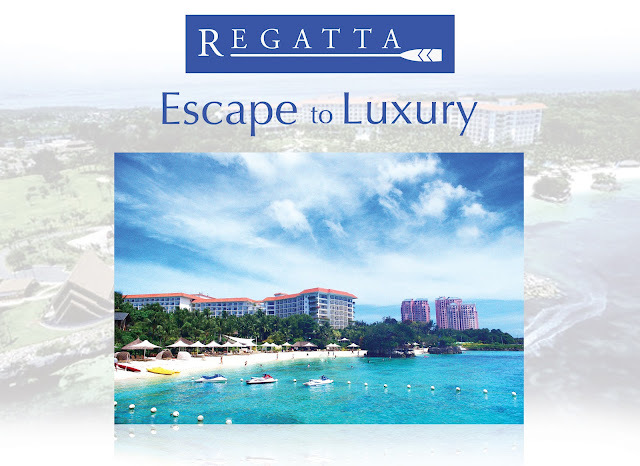 Win it by simply joining Regatta's grandest and most luxurious treat with Regatta Escape to Luxury Raffle Promo. All you have to do is to purchase P1,000 worth of Regatta items and register on Facebook. 1. Shop at any Regatta store from April 13 - May 6, 2012. 2. For every P1,000 single receipt purchase of all regular-priced items from Regatta, you can join Regatta’s Escape to Luxury Promo on Facebook. 3. Like Regatta on Facebook and click the promo app icon on the upper right part under the cover photo. 5. Each fan can submit as many entries as s/he wants and have different friends in the list of Escape to Luxury company provided that the fan inputs different transaction numbers in the promo form depending on how many P1,000 single receipt purchase s/he has made. Each submission is equivalent to one raffle entry. 6. Deadline of entry submissions is on May 6, 2012. Twenty two (22) lucky winners will be drawn via automated raffle on May 7, 2012 at Golden ABC Inc. office. 7. Two (2) lucky winners along with his/her two company will be treated to an Escape to Luxury trip* to Shangri-la Mactan and will also receive P5, 000 worth of gift certificate from Regatta. The remaining 20 winners will win P2, 000 worth of GC. 8. A customer can only win once. If a name is drawn more that once he/she gets the prize of higher value. 9. Prizes are transferable and not convertible to cash. 10. All winners will be notified on or before May 8, 2012 by an authorized Regatta representative through email, phone and registered mail. Redemption period is until May 18, 2012. 11. Winner can redeem their prize from the Regatta branch where they made the purchase that qualified them for the raffle promo. 12. Winners must present the receipt used during registration and 2 valid I.D.s (government issued: Drivers license, Passport, SSS, TIN, Professional license, etc) when claiming his/her prize. 13. Employees of Golden ABC, and their affliates, their spouses and their relatives up to second degree of consanguinity or affinity are disqualified from joining this promo. *includes 3D2N Hotel accommodation to Mactan Shangri-la , Airfare, Complete meal, Airport taxes and Fuel surcharge. Per DTI-NCR permit no. 2323, series of 2012. You may also check out Regatta's Facebook, Twitter and Website.